Get crowdfunding in Australia with ReadyFundGo today! ReadyFundGo is open to Australian crowdfunding creators and those campaign creators from around the world who would like to bring their new product or innovation to Australia. Start building and launching campaigns now, or support campaigns that are in action! Globally, there has been unprecedented growth in the crowdfunding market and Australians are eager to be part of the party. ReadyFundGo is helping start-ups, entrepreneurs, change-makers, inventors and communities use crowdfunding in Australia to get ideas and projects off the ground. In 2010 there was a relatively small market of early adopters crowdfunding online to the tune of a reported US$880 million. Then over the 5 year period to 2015, the crowdfunding industry more than doubled every year across the key types of funding models being rewards, donation, equity and debt/lending. 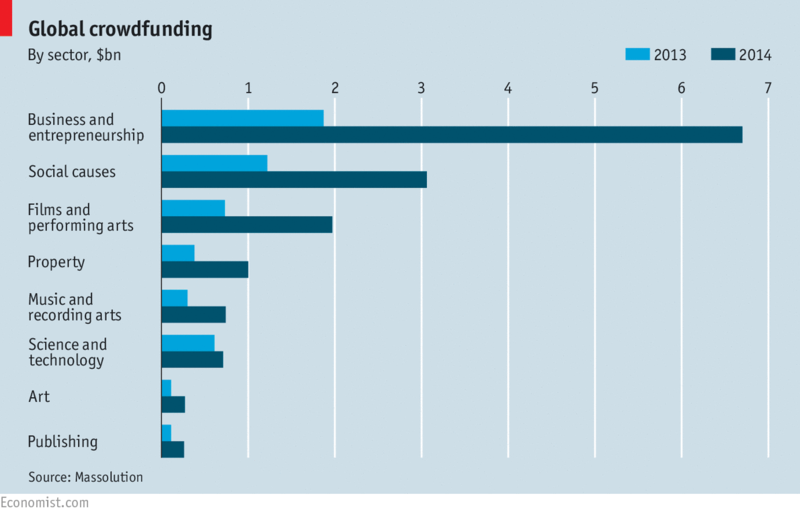 By 2015 it was estimated that the crowdfunding market globally had grown to over US$34 billion (Massolutions). A report published by Goldman Sachs labeled crowdfunding as “potentially the most disruptive of all the new models of finance”. The World Bank is predicting that crowdfunding industry will reach US $96 billion a year in developing countries alone by 2025. Capital raising – where do I start? ReadyFundGo support rewards based crowdfunding. We connect people to projects and businesses worth funding. Whether you want to start a new business, expand your current business into other areas, products or services, purchase equipment or just need some extra cash to retrain staff, we can help you raise capital through crowd funding. Our team of campaign pilots and experts can also help you raise money for community and environmental projects. Equity crowdfunding allows a large number of investors to make small equity investments in a company. While equity crowdfunding has been available in a number of countries around the world for several years, it has only been available for retail investors in Australia from January 2018. At the start of January 2018 equity crowdfunding was only available in Australia to unlisted public companies. In October 2018 the equity legislation in Australia was extended to proprietary companies. Allowing equity to be raised from the “crowd” can provide small businesses with an alternative source of capital that could create jobs and increase productivity. Access to capital and cash-flow are the key reasons early stage businesses fail. Equity crowdfunding can now provide an alternative source of funding for early stage businesses in Australia where they convert from the proprietary company to a public company. Many early stage companies are starting to look to set-up a reward-based crowdfunding campaign ahead of approaching angel investors or looking to equity crowdfunding. A successful reward-based campaign can show proof of concept, test a start-up’s Minimum Viable Product and start to generate sales traction. Start-ups and business looking to grow do not need to wait. They can start a reward based crowdfunding campaign in Australia with ReadyFundGo today. What is more with a reward based campaign a start-up founder is not diluted by giving away equity too early. At the moment, crowdfunding in Australia is primarily reward-based crowdfunding. With ReadyFundGo this type of crowdfunding offers a great potential for start-up businesses and community projects. The general idea is that supporters of the campaign are ‘rewarded’ for their pledges by an array of offerings. This could include early release of a new product, exclusive access to a limited number of products or experiences, a customised experience or gift, events and more. The crowd provides the initial funds for the campaign creator to start their project. Rewards are fulfilled typically after the campaign has ended. Another great benefit of this type of crowdfunding is ‘market testing’ either at the product stage or using the platform with a ‘minimal viable product’ to gauge market response. Campaigners can engage with potential backers through updates and commenting, taking feedback and polls for their new product. It can be used an additional channel for gaining exposure to a product, project or idea outside of traditional methods in Australia. If you’d like to start creating your own campaign, can you start today. It’s free. Our team will be in touch to see how we might help in building your campaign.